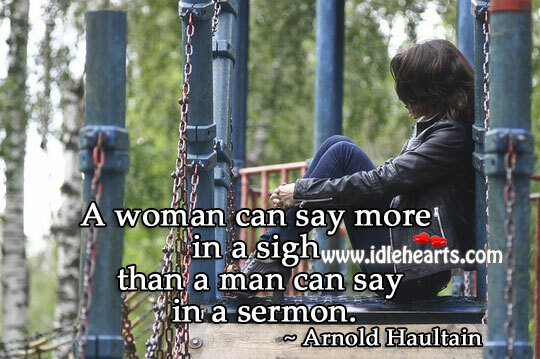 Enjoy the best inspirational, motivational, positive, funny and famous quotes by Arnold Haultain. Use words and picture quotations to push forward and inspire you keep going in life! 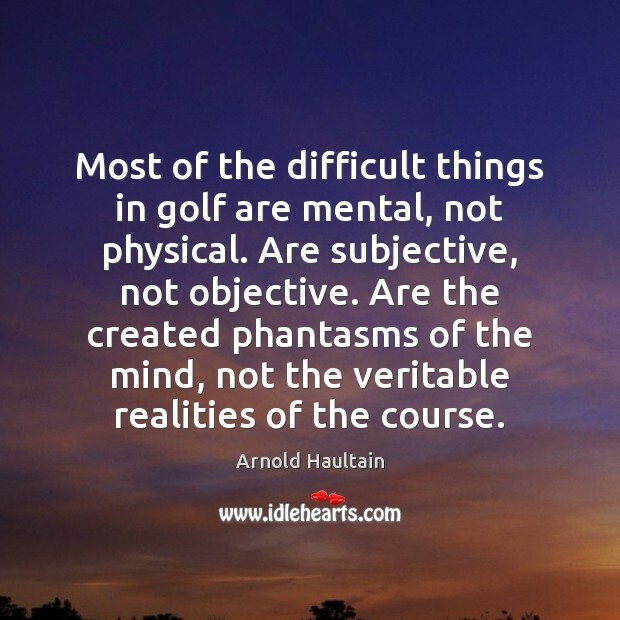 Most of the difficult things in golf are mental, not physical. Are subjective, not objective. Are the created phantasms of the mind, not the veritable realities of the course. Don't worry about your caddie. 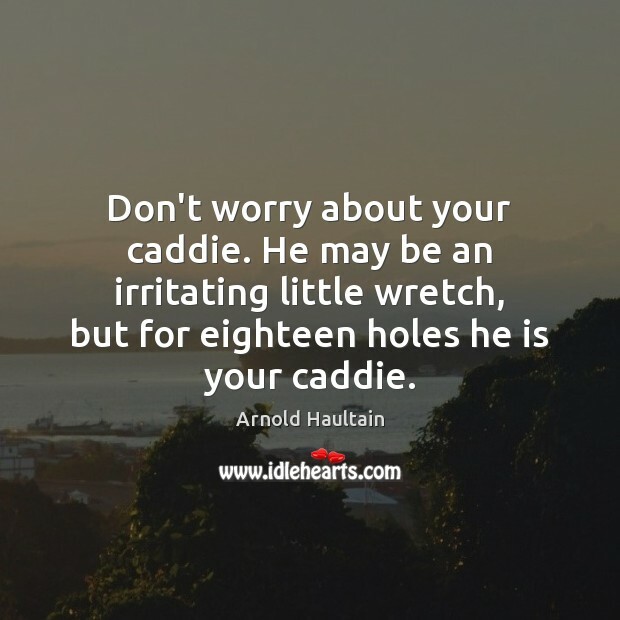 He may be an irritating little wretch, but for eighteen holes he is your caddie. 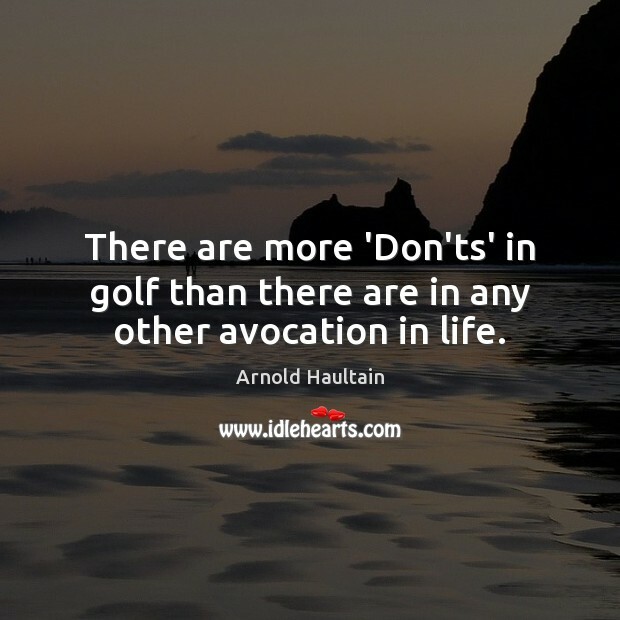 Golf is more exacting than racing, cards, speculation, or matrimony. 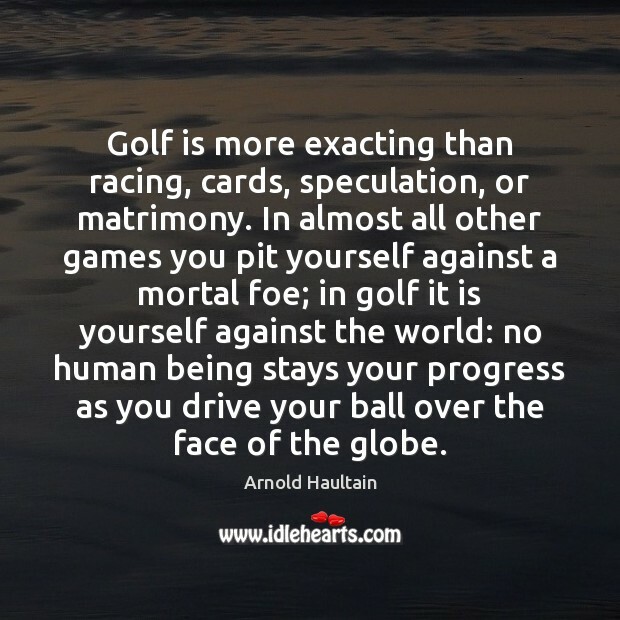 In almost all other games you pit yourself against a mortal foe; in golf it is yourself against the world: no human being stays your progress as you drive your ball over the face of the globe. 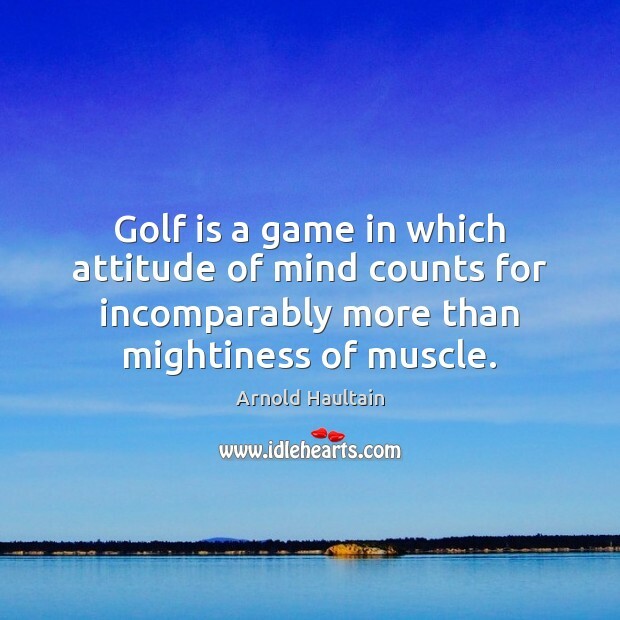 Golf gives no margin: either you win or you fail. You cannot hedge; you cannot bluff; you cannot give a stop order. One chance is given you, and you hit or miss. There is nothing more rigid in life. 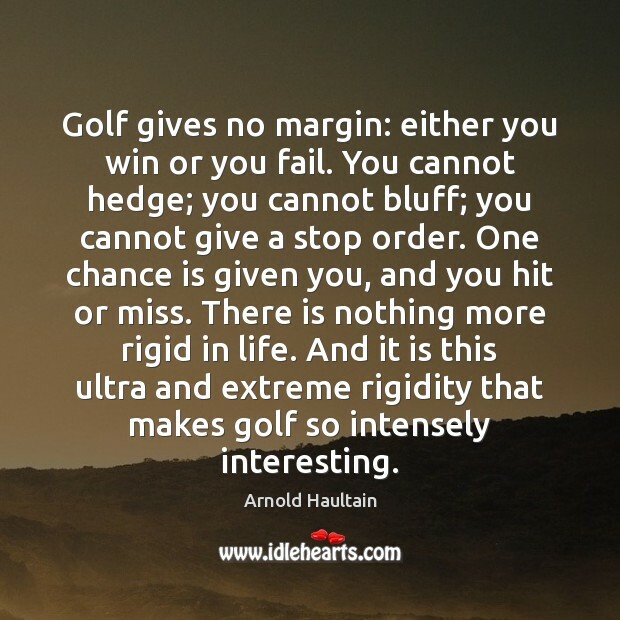 And it is this ultra and extreme rigidity that makes golf so intensely interesting. 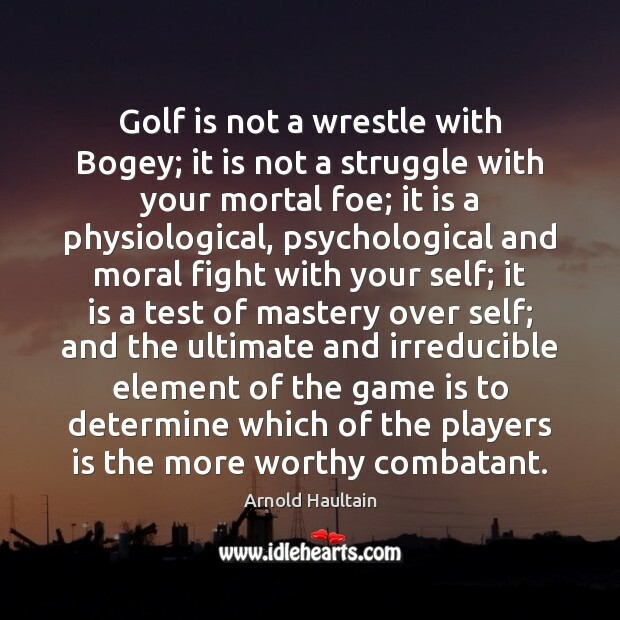 Golf is not a wrestle with Bogey; it is not a struggle with your mortal foe; it is a physiological, psychological and moral fight with your self; it is a test of mastery over self; and the ultimate and irreducible element of the game is to determine which of the players is the more worthy combatant. 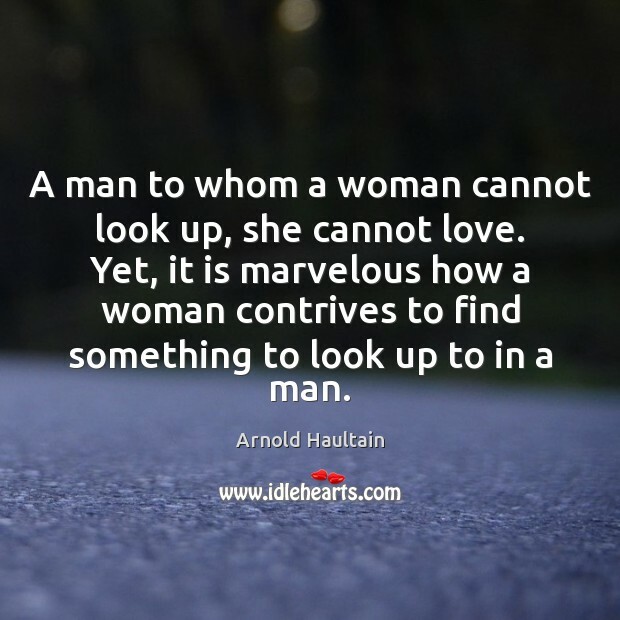 A man to whom a woman cannot look up, she cannot love. 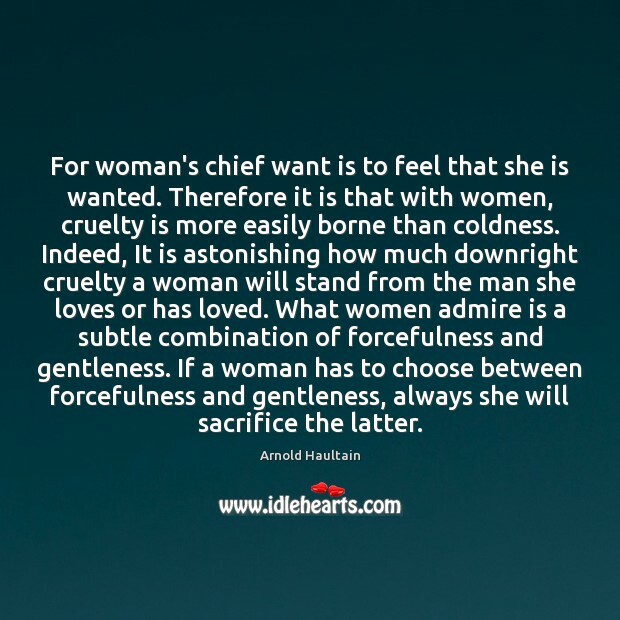 Yet, it is marvelous how a woman contrives to find something to look up to in a man.